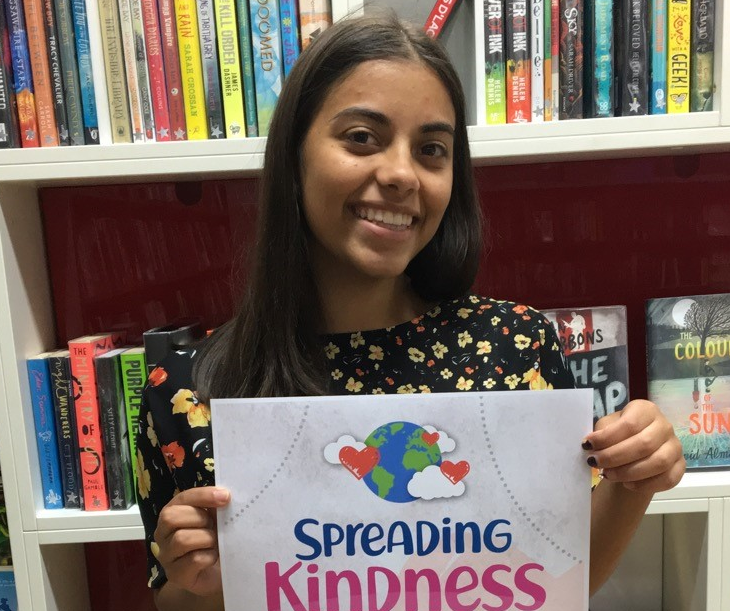 Hi, I’m Elsa, I’m 17 and I am passionate about being a part of ensuring that everyone enjoys their school experience and is given the opportunity to make the most of it. I have experienced bullying at school which led to struggles with my mental health. After my own experiences I decided that I wanted to help to make sure other people didn’t have similar negative experiences to me. I am currently in year 12 and use social media, particularly instagram, to spread a positive message. I am also a national anti-bullying ambassador and use my role within different charities to bring ideas back to my school. Everyone is passionate about different things, but we all have the power to be able to make a difference in the world and stand up for what we believe in to make a positive difference. This week is children’s mental health week. I wish someone had told me at primary school that it’s ok not to be ok. Because it is ok. And that’s my main message to anyone. Please talk about how you feel. Make mental health part of your everyday conversations and help show others that it is OK to feel sad or lonely sometimes, and it’s OK to ask for help. I spent too much time worrying I would be seen as a weak person or be treated differently and I didn’t accept help when I should have. No one should grow up feeling ashamed of how they feel or like they are not worth being helped. We all have mental health, and just like our physical health, anyone can experience mental health illnesses at any age. This year’s theme is health: inside and out. When I was being bullied, I found that being creative really helped my through difficult times. I found I could communicate my feeling better through dance, even if I was just practising at home on my own. I know how valuable creativity can be and would encourage anyone who is struggling, to find their passion. You can overcome any mental health illness, but please don’t put pressure on yourself if you’re struggling to express yourself through words. Find something that you enjoy and can immerse yourself in because sometimes we need to give ourselves time to find the words to describe how we feel. So please don’t put pressure on yourself if you’re struggling to communicate verbally, the words will come, you just have to give them time. Something I think makes a massive difference to supporting people with their mental health is being kind and mindful. Kindness has an enormous amount of power to change the world. In 2018, I was part of a team who launched a local kindness project. We created a kindness tree in a local park which members of the local community could hang their kindness messages and pledges from. The aim was to be aware of the importance of the small things that make a big difference. Whether it’s helping to carry someone’s shopping or smiling at someone you pass on the street, you never know what kind of day someone is having, and small acts of kindness can make all the difference. We’re all in this together and need to help each other where we can. So weather you know the person or not, no act of kindness, however small, is ever wasted. Never underestimate the power of a smile or a little helping hand.